Creating and sustaining distinctive interior landscapes. 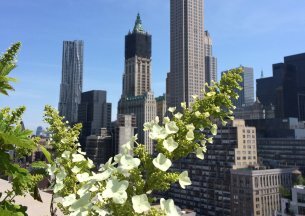 Step inside a new environment, where green walls breathe life and plants flourish in seemingly impossible spaces, where flower arrangements look like a work of art and nature is enjoyed indoors. These are the types of indoor landscapes that the John Mini team prides itself on creating. Through thoughtful creativity, skillful engineering, and cutting-edge technology, our team transforms everyday spaces into distinctive interior experiences. 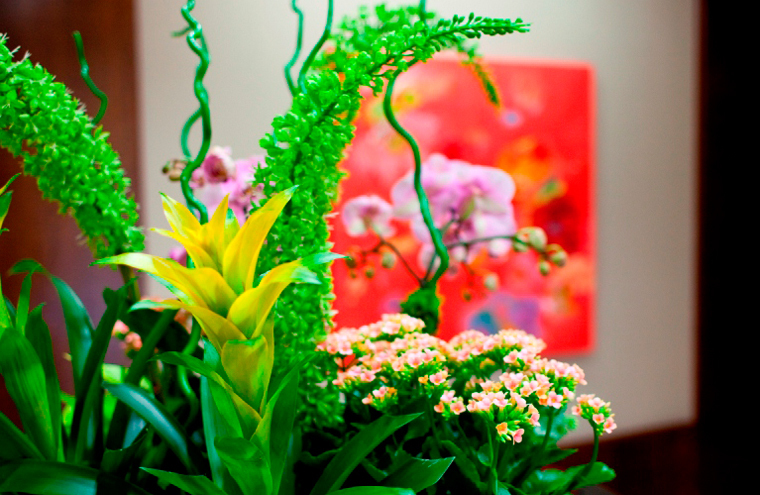 If you need live plantings, a pop of color in your space, or you just want to explore ideas that will make a bold statement throughout your indoor landscape, our team can make your place beautiful. 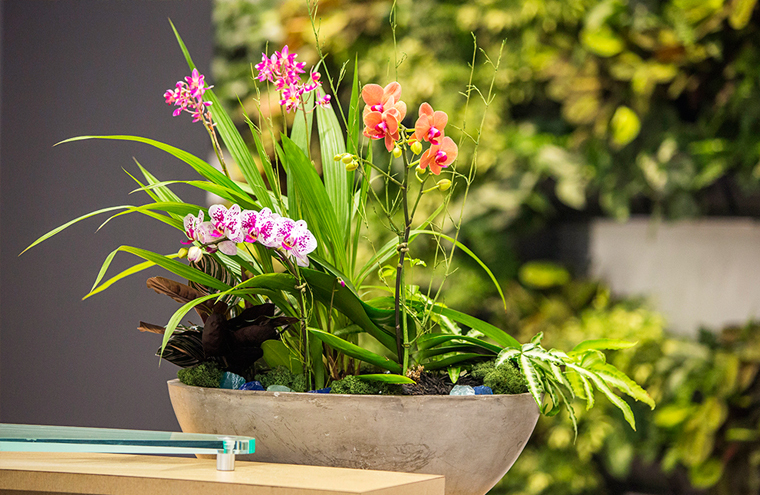 Creating lush natural landscapes in indoor spaces. 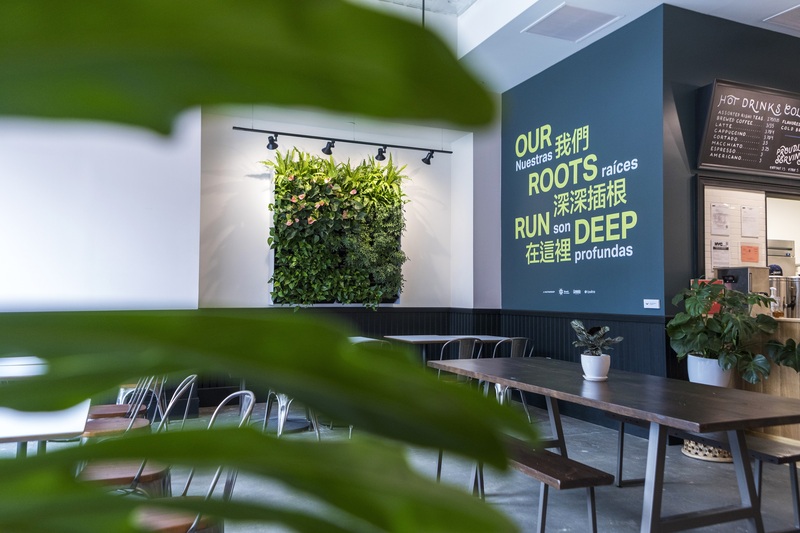 Through partnerships with the best living wall manufacturers in the world, we can build and sustain indoor living wall systems. Always ahead on the latest design trends, we create stunning seasonal interior designs sure to leave a lasting impact. Sourcing inspiration from unexpected places, our flower arrangements brighten up all indoor spaces. 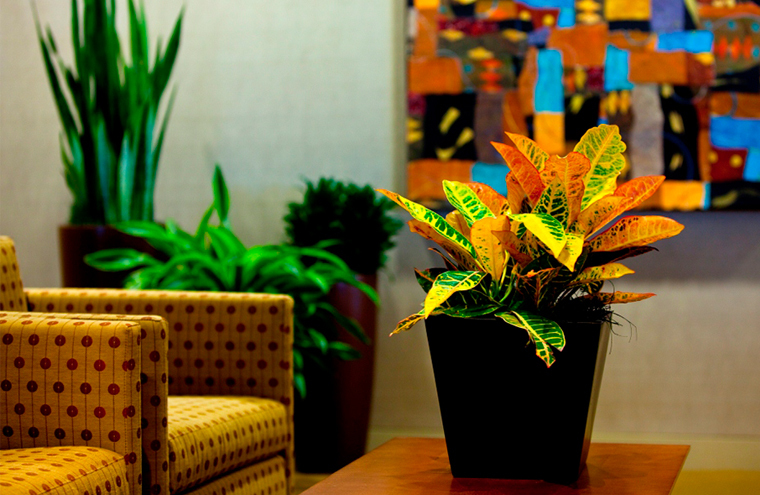 Create happier, healthier, and more productive work environments with indoor office plants that complement your company’s interior design. 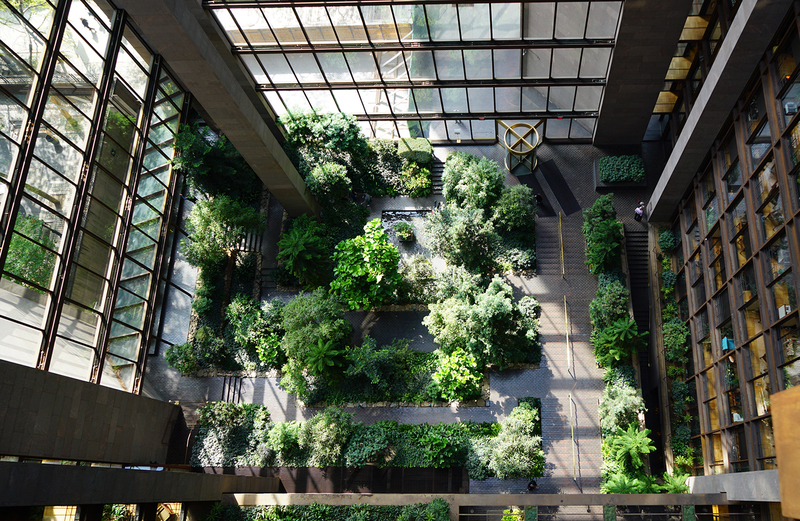 We have worked on some of the most iconic atrium landscape installations in NYC and the world, giving us the expertise to build even the most complex atrium designs. Pouring passion and creativity into our designs, we work with you and other designers and architects to create custom interior landscapes that are both unique and sustainable. 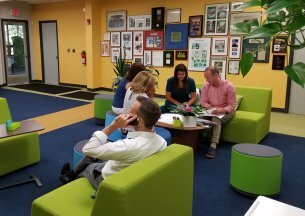 Experts at handling all aspects of project logistics, our large operations team sources, delivers, and installs interior landscapes at minimal disruption to you. We guarantee the life of our indoor plants and will refresh your plants at no extra cost to you. We also offer ongoing landscape maintenance services to ensure that your indoor landscapes stay beautiful. The world’s most renowned home of art and artifact curates a show to feature the great masters of Impressionism and their most documented muse, the garden. The exhibit’s intention is to tell the horticultural story that informed the development of 19th century French landscapes, both public and private, with their unmatched collection of impressionist and post-impressionist paintings depicting them.